Figure 1. Morning Doji Star pattern. The Morning Doji Star is a bullish reversal pattern, being very similar to the Morning Star. The only difference is that the Morning Doji Star needs to have a doji candle (except the Four-Price Doji) on the second line. The doji candle (second line) should not be preceded by or followed by a price gap. If a lower shadow of a doji candle would be placed below the first and the second line shadow we would deal with the Bullish Abandoned Baby pattern. It happens that two first candles are forming the Bullish Doji Star pattern. The pattern, as every other candlestick pattern, should be confirmed on the next candles by breaking out of the resistance zone or a trendline. If the occurrence is confirmed, then its third line may act as a support area. It also happens, however, that the pattern is merely a short pause prior further price decrease. Figure 2. It so happens, that a cumulation of candlestick patterns predicting the same direction does not necessarily makes the signal stronger. The market context in which a pattern appears plays the most important factor. On the chart we can see a Morning Doji Star pattern, which is formed within a support zone created by a Long White Candle almost 4 months earlier. There is a resistance zone above the Morning Doji Star formed by a Long Black Candle, and this is at this moment the biggest threat for the bulls. 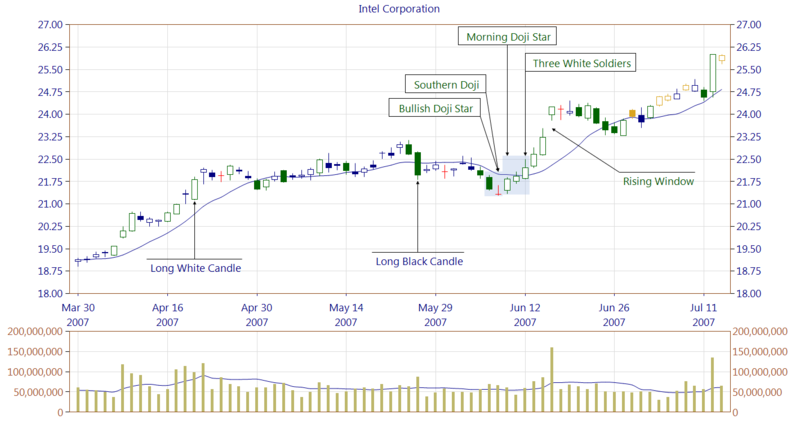 The Morning Doji Star is followed by a series of white candles, which eventually form a Three White Soldiers pattern. However, the market still is within the resistance zone made by the Long Black Candle. The bulls have the ball, and they are pushing price higher forming a Rising Window pattern. Moreover this move was performed at a very high trading volume, and the resistance zone is broken. Then the bears are trying to gain control but without success. Figure 3. 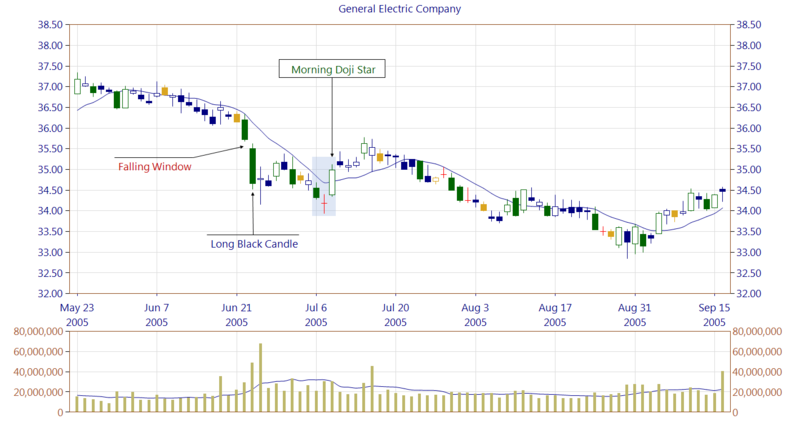 Another example presenting that the market context is crucial while analysing a candlestick pattern appearance. A Falling Window, which second line is formed by a Long Black Candle at a high trading volume acts as a very strong resistance area. In situations like this appearance of a bullish pattern should be considered with caution. Simply it very often happens that a bullish pattern stops the bears only for a while. A Morning Doji Star stops price drop for a while, but eventually the bears quickly retake control of the stock. 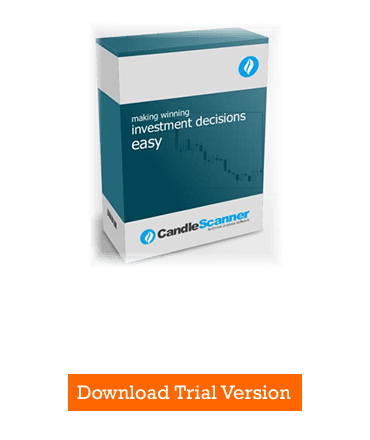 Below you can find some Morning Doji Star pattern statistics calculated by CandleScanner software.